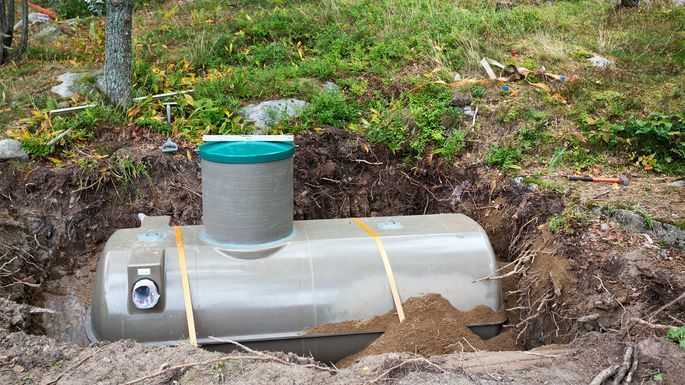 If you’re thinking of buying or building a home in a rural area or some other place that’s not connected to a public sewer system, here’s an unsavory news flash: You will need your own septic system and to figure out what septic tanks cost. That way, the water going down the drain of your bathtub, toilet, and sinks has someplace to go! For a three-bedroom home, you can expect to need a 1,000-gallon tank, which will range in price from $8,000 to $15,000, according to AngiesList.com. For a five-bedroom home, you’ll probably need a 1,500-gallon tank, which will cost between $15,000 and $25,000. The cost of a septic system depends on its size, and its size will hinge on how much water you use. You can estimate both of these by using the number of bedrooms in your house as a rule of thumb.